Today I decided to try my hand at making vegan banana muffins for the first time. While I am not vegan myself, I do post quite a lot of vegan recipes on my blog. 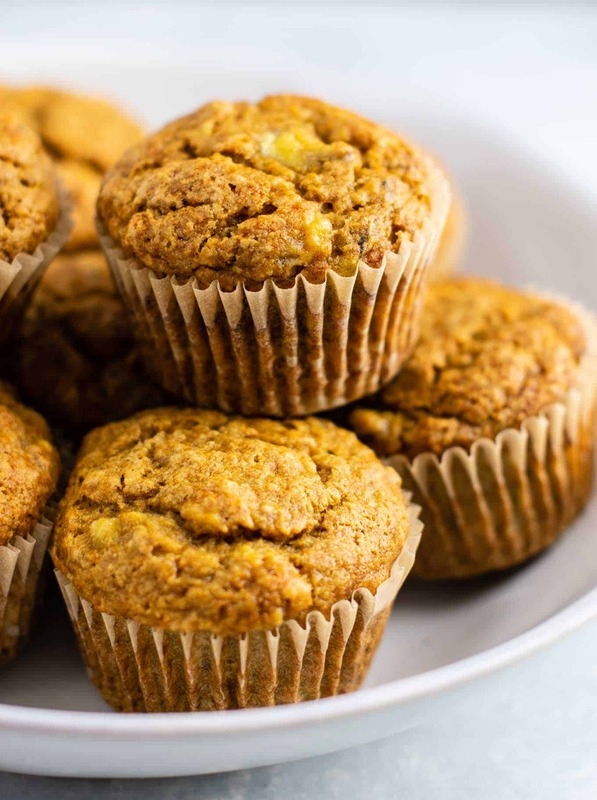 One area that I noticed I have not posted many vegan recipes is muffins and breads. I’m making it a mission to start experimenting more with baking for my vegan readers! 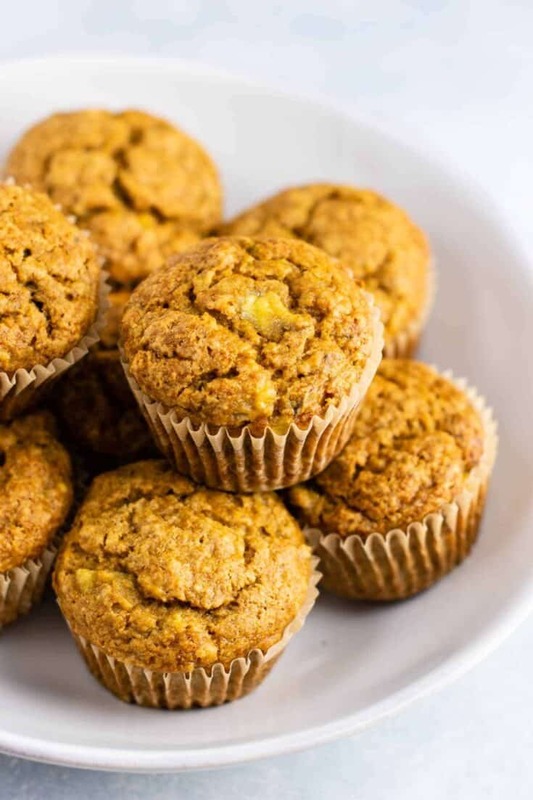 You don’t have to be vegan to enjoy these muffins though! 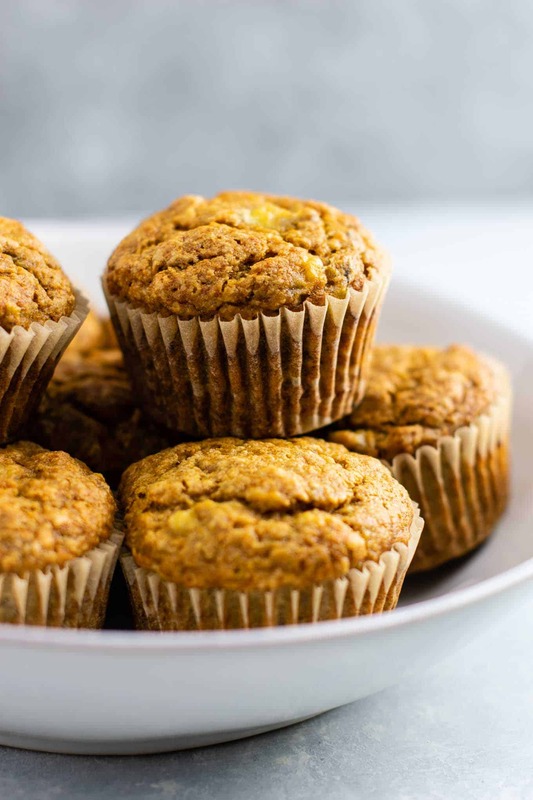 I wanted to create a healthy vegan muffin recipe that was oil free, didn’t require any difficult ingredients, and was easy to make. 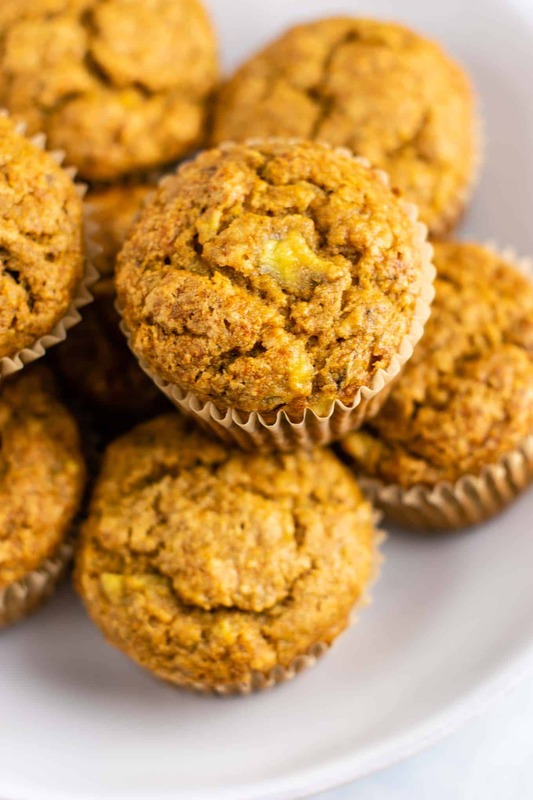 While I know a lot of people make flax eggs to replace eggs in a recipe (and I may myself do this in the future), I wanted to see if I could make vegan banana muffins without the use of any egg replacements. 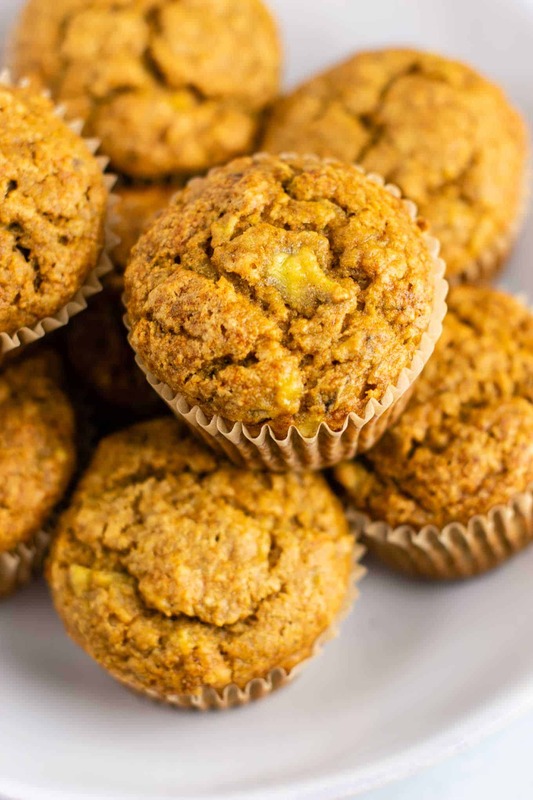 Instead of using an egg replacer, I instead used a combination of applesauce and extra mashed banana to help the muffins stick together. 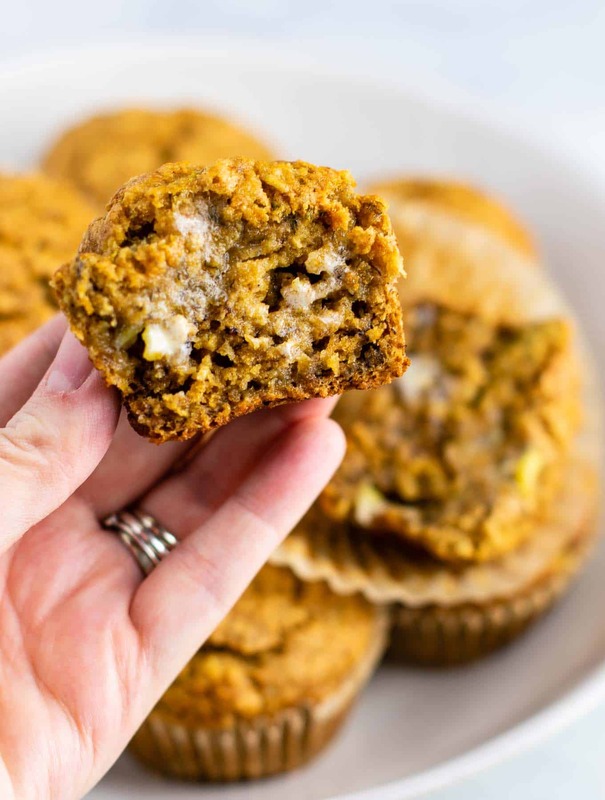 I crossed my fingers and was happy to find out that not only did it work, but these vegan muffins were beyond delicious! They are sweet (but not overly so), soft (even though they are oil free!) and just all around delicious. I ate 3 and called it brunch! Personally, my favorite way to eat these was warm with a bit of vegan butter spread on top. You can also eat them cold! They would make a great lunchbox snack for kids. Now that I know my mashed banana trick worked, I am going to start seeing if I can make more muffin recipes vegan-ized! Do you have a favorite way to replace eggs in a recipe? I want to know! Many of my recipes are already dairy free, so the egg is the one part to make vegan. Overall I couldn’t be happier with these banana muffins! They are so healthy and only took minutes to whip up. I can definitely see these becoming a regular in our house! 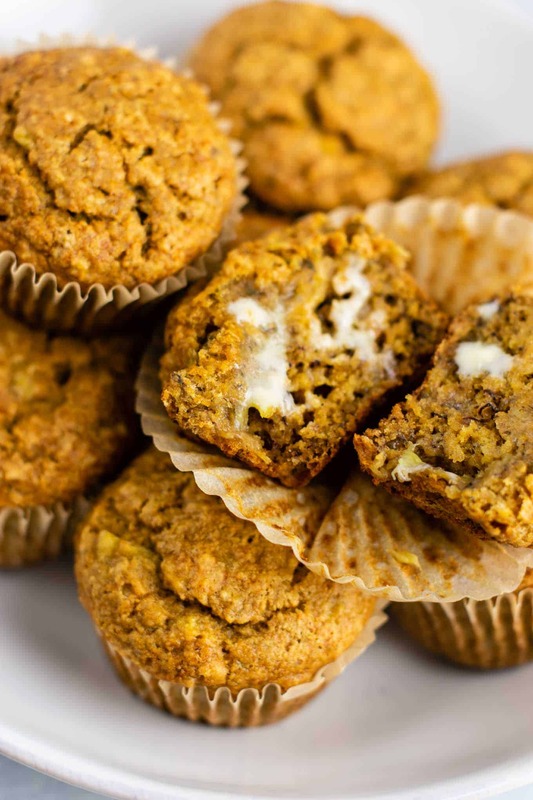 Hungry for more healthy muffin recipes? 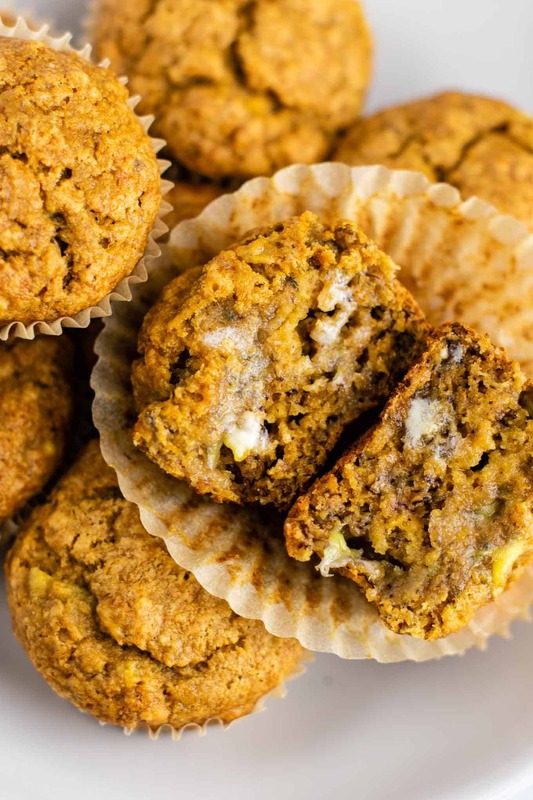 Here are some more wholesome muffin recipes that my family loves! Be sure to follow me on FACEBOOK, PINTEREST & INSTAGRAM to never miss a recipe! Saving this recipe for later? Whisk together flour, salt, baking soda, baking powder, and cinnamon in a bowl. Line a muffin tin with parchment paper liners (these do not stick.) If you have regular paper liners, you will need to spray them with cooking spray to help avoid sticking.